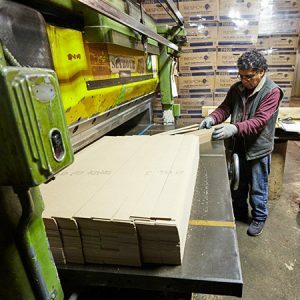 Fibers of Kalamazoo offers a variety of chipboard products for packaging, transportation, and other uses. Chipboard is made of firm cardboard, glued together to form a protective layer. We can customize the exact size and density of chipboard for your unique needs. 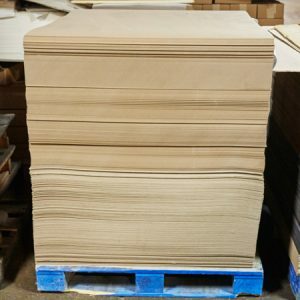 Whether you need to interleave by adding a layer of cushion to materials or protect a finished product from skids, Fibers of Kalamazoo is your source for chipboard. Do you need other supplies? We also carry stretch film, corrugated boxes, and a wide range of other packaging products! We also carry gloves and other safety products to keep you and your employees safe on the job. Fill out the form below or contact us today for more information. Our knowledgeable sales staff is eager to find the best chipboard and packaging products for your organization!